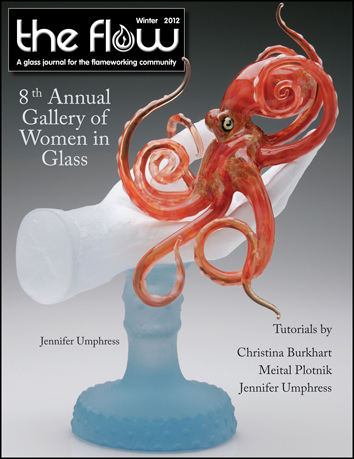 The Winter issue of The Flow Magazine is the 8th Annual Gallery of Women in Glass and it’s a very good issue if I might say. (Disclosure: I have a couple of beads in this issue.) It’s full of information about kiln stuff and some tutorials and the gallery of women artists and even emerging artist recognition. If you can’t find it in print you can always get an online copy. The web site also has back issues and tutorials and other kinds of information.